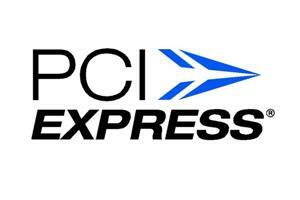 PLDA has been successfully delivering PCI and PCI Express IP for more than 20 years. With over 6,200 licenses, PLDA has established a vast customer base and the world’s broadest PCIe ecosystem. PLDA has maintained its leadership over four generations of PCI Express specifications, enabling customers to reduce risk and accelerate time to market for their ASIC and FPGA based designs. PLDA provides a complete PCIe solution with its IP cores, FPGA boards for ASIC prototyping, PCIe BFM/testbenches, PCIe drivers, and APIs. PLDA is a global company with offices in North America (San Jose, California), Europe (France, Italy, and Bulgaria), and Asia (China, Taiwan). PLDA, the industry leader in PCI Express® interface IP solutions, today announced availability of their XpressRICH5™ PCIe® 5.0 Controller IP. PLDA’s XpressRICH5 supports rev. 0.7 of the PCIe 5.0 Specification and is available for ASIC, SoC and FPGA implementation, allowing early adopters to seamlessly improve their link throughtput to 32 GT/s per lane and reduce their overall latency. This level of performance is highly anticipated by developers of leading edge applications in Artificial Intelligence (AI) and Machine Learning (ML), data center storage and networking, and High Performance Computing (HPC). PLDA®, the industry leader in PCI Express® interface IP solutions today released its XpressCCIX IP, supporting CCIX™ or Cache Coherent Interconnect for Accelerators (X). The decision to support CCIX is fueled by an increasing demand for higher throughput for PCIe-based systems, driven largely by enterprise and data center customers. The CCIX Consortium has developed the Cache Coherent Interconnect for Accelerators (X) protocol to enable a new class of interconnect focused on emerging acceleration applications such as machine learning, network processing, storage off-load, in-memory data base and 4G/5G wireless technology. In addition to their core business of licensing PCIe semiconductor IP, PLDA has a long history of robust hardware designs. PLDA initially built its first PCIe 4.0 platform, Gen4SWITCH, as a way to demonstrate the PCIe 4.0 technology and to test designs at PCIe 4.0 speed for its own needs. Widely used during tradeshows and at PCI-SIG workshops as an early PCIe 4.0 host platform, Gen4SWITCH has become a star product in high demand, and has spawned a complete Test and Validation product line, targeted specifically at the needs of PCIe 4.0 SoC designers and system vendors. Check the video demonstration of Inspector. Inspector is a PCI Express 4.0 Host Platform for diagnostic and performance tuning of PCIe 4.0 silicon, devices,and software.